Concertul Netherbird + Argus Megere programat pentru vineri 22 februarie 2013 in Club Ageless din capitala nu va mai avea loc. Formatia suedeza Netherbird a anulat tot turneul european prevazut sa aiba loc la sfarsitul acestei luni, iar incercarile de a aduce o alta trupa din strainatate in locul ei, in timp util, n-au avut sorti de izbanda. We have some sad news to share. We, the guys of Netherbird, will have to cancel our tour to Romania, Serbia and Bosnia scheduled 22 feb "" 2 march 2013. The reason is that one of our members is having a serious health problem that currently makes it impossible for him to tour. He has just started to receive treatment and that process is tough and will take time, but we are convinced that he will make a full recovery. In the meantime we will do all in our power to support him and one step is to cancel this tour. In these circumstances we do not even consider bringing in a replacement, we rather wait until all five of us are in full strength and can find new tour dates. We will work to re-schedule the gigs and it is very important to also underline that it is not due to any problems with any of the organizers, they have done a great job. We hope we get the chance to work with them all when new dates are being scheduled. We will not answer any questions regarding our member and his state since it is personal, but all other questions are of course, as always, welcome! We look forward to seeing you as soon as we are back in full force! Nephente on behalf of all five guys of Netherbird and our crew"
Ne cerem scuze pentru aceasta nefericita situatie, fiind singurul concert pe care nu l-am putut duce la indeplinire in cei 13 ani de Metal Under Moonlight. 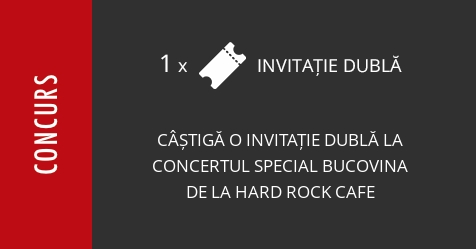 Promitem sa trecem peste acest impas si sa anuntam urmatoarea editie in cel mai scurt timp!